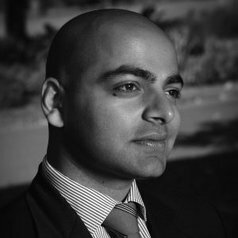 Vishaal Kishore is Professor - Innovation & Public Policy at RMIT University and a Principal Fellow at the Melbourne School of Government, University of Melbourne. He has previously been a senior executive in the Victorian public service; director for government strategy within EY's consulting practice; a senior associate and solicitor at Freehills and Mallesons Stephen Jaques; and has served as Associate (Clerk) to the Honourable Justice Gray of the Federal Court of Australia. Vishaal has previously held academic and research fellowships at Harvard University and Brown University in the United States, and Monash University in Australia. He holds degrees from the University of Melbourne, and a doctorate from Harvard University where his work focused on the intersection of law, political economy and socio-political theory. He is the author of Ricardo's Gauntlet: Economic Fiction and the Case for Free Trade (Anthem Press, 2014: www.anthempress.com/ricardos-gauntlet-pb).